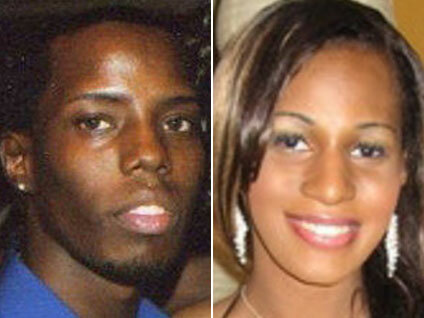 NEWARK, N.J. (CBS/AP) Police in New Jersey are investigating whether the murders of a gay man and a transgendered woman were bias crimes. Acting Essex County Prosecutor Robert Laurino announced on Thursday the arrest of a suspect in the March. 15 slaying of Arthur Downey. Laurino also named two suspects in the deadly shooting of 28-year-old transgender woman Victoria Carmen White on Sept. 12. John Staten is held on $1 million bail, charged in the fatal beating Downey, a 27-year-old of Maplewood. Laurino would not disclose Downey's sexual orientation, but the prosecutor said Downey met Staten in a telephone chat service that has a "gay portion." "It's our understanding that he was openly gay," Katherine Carter, a spokeswoman for Acting Essex County Prosecutor Robert D. Laurino, told CNN. "We have a special unit that looks at cases to determine whether there is a legal basis to bring bias-crime charges, and that unit within our office will be reviewing both of these cases." Police are looking for 25-year-old Marquise Foster and 23-year-old Alrashim Chambers in the slaying of White. The professional lingerie model legally changed her name to Victoria Carmen after undergoing a gender reassignment operation nine years ago. CNN reports that police said in a written statement that the two suspects met White at a nightclub in Irvington. They then returned with White and two other people to an apartment "to continue partying," according to the statement. That's when an "altercation occurred and White was killed." On Wednesday, the Gay and Lesbian Alliance Against Defamation asked supporters to wear purple to call attention to the deaths of six teenagers who committed suicide after reportedly being taunted because they were gay.